was in there before the Cinema one night in 1986 that I got to play “Buggy Boy” for the first time. It was made by Tatsumi, who’d also made “TX-1” and licensed it to Atari. It was also another three-screen cabinet game which really made it stand out. As you know, I’m partial to some nice key art to set me up for game, but I must confess that with this game, I just loved the name. It’s cool and it made me want to play the game! 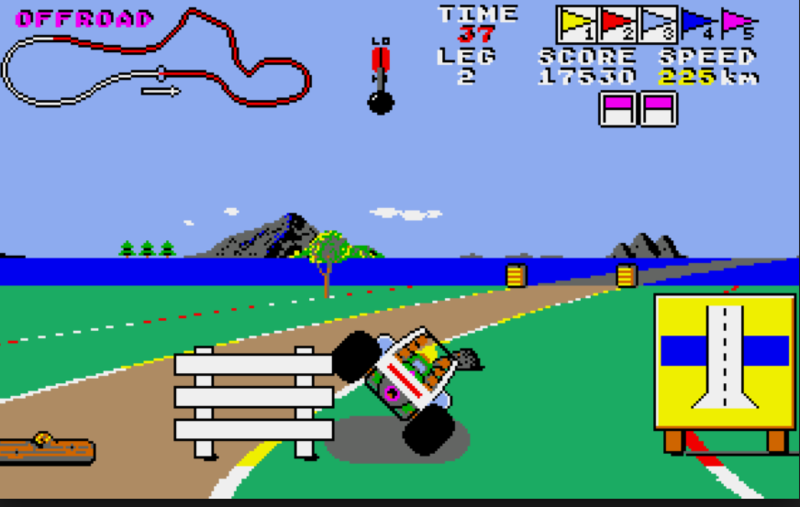 Driving a dune buggy is also a cool concept for a videogame and what this game lacked in real physical simulation it made up for in spades with its cute character and simple addictive driving gameplay. You had to race around a series of courses, avoiding obstacles like gates or logs and you could hit ramps and jump over streams along the way. Those tunnels I first saw in “TX-1” were back as well. The game oozed style, playability and class. You could collect coloured Flags in order to earn a Bonus, there were occasional bits of banked course to drive up onto, you could pop the Buggy onto two wheels for a bit and bizarrely, you had to hit a Bonus Football with the car to every now and then to earn more Bonus Score. It’s touches like this that you just don’t see anymore with the much more sober games you find today. I was spoilt for choice that night as next to the machine was a brand new “Back To The Future” pinball so both machines did their very best to drain me of all coins that I had on my person at the time. The following year Midlands developer Elite Systems brought the game to home computers. I’d looked forward to the conversion all year and picked it up on day of release. The guys at Zzap64! gave it a great review in their December issue and it certainly didn’t disappoint. Somehow the Tatsumi coin-op had been perfectly squeezed into the C64. Sure, it didn’t have the exact same visuals as the arcade version, nor did it have the bright summery colours found in the coin-op version, but the gameplay and sense of speed was fantastic. It was one of the last games I was to buy for my C64 and I’d already set eyes on a new piece of hardware, a grey console coming from a Japanese company called Nintendo. It was still a few months before the NES was to launch over here. 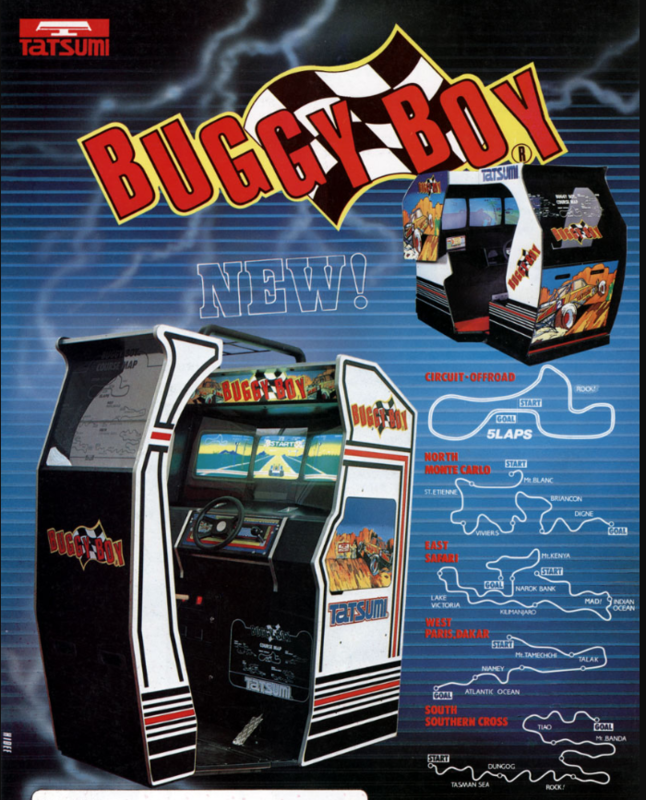 If you find it on MAME take a look, but it will never quite be the same unless you’re sat in that big cabinet with the steering wheel and three screens ahead of you!